Established in 1938, Faculty of Education - Jamia Millia Islamia University is located in South Delhi. It was set up under the leadership of Dr. Zakir Husain. The aim of the institute was to train teachers for Basic Schools. This had to be according to the scheme of Basic Education. Later, the institute was renamed as Teachers' College. The institute is one of the constituent units of Jamia Millia Islamia, which is a public central university in Delhi. Faculty of Education - Jamia Millia Islamia University is approved and recognised by the National Council for Teacher Education (NCTE), Jaipur. The main purpose of the college is to provide high-quality education to budding teachers. The first two principals of the college were Saeed Ansari Saheb and Dr. Salamatullah. Faculty of Education - Jamia Millia Islamia University is the result of the foresightedness of these two able educators. 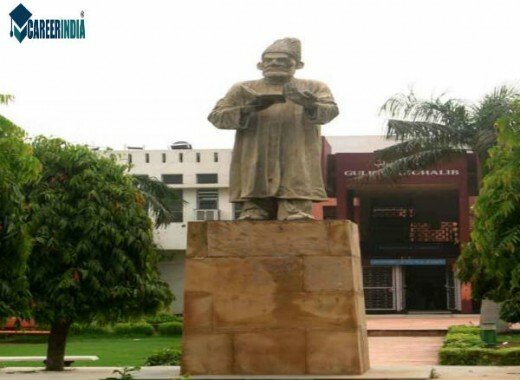 In 1980, after the Faculty Structure was introduced in Jamia Millia Islamia, a new name was given to the Teacher's College and the college was renamed as Faculty of Education. Currently, the college has two departments: Department of Educational Studies and Department of Teacher Training and Non-Formal Education, also known as Institute of Advanced Studies in Education. Bachelor of Education (B.Ed) for a period of two years is offered by the college. Candidates who want to apply to this course must have completed their graduation from a reputed college with 50% marks. SC, ST and OBC candidates are given a relaxation of 5% marks. Master of Education (M.Ed) for a period of two years is offered by the college. Candidates who want to opt for this course must have got their B.Ed. degree from a reputed college with 50% marks. SC, ST and OBC candidates are given a relaxation of 5% marks. M.A. in Educational Planning and Administration which was launched in 1984-1985 and focuses on planning and administration. M.Ed. in Elementary Education which was launched in 1997 and deals with the complex requirements of elementary education. Post Graduate Diploma in Educational Management (PGDEM). At present, the two departments of the institute run twelve different programmes for would-be teachers and professional teachers. The institute also offers M.Phil. and Ph.D. programmes in education. The whole curriculum of all the programmes is revised at regular intervals in order to keep up the quality of the programmes. For example, the curriculum of M.A (Educational Planning and Administration) programme has been revised and apart from the 4 semesters of coursework that have been developed, an apprenticeship programme has been introduced. This needs to be pursued after the 2nd semester coursework during the summer break. Currently, except for the PGDEM course, all other courses are being conducted in the semester mode. Post Graduate Educational Association (PGEA) is a platform at the institute which aims at bringing about a holistic development of the students by organizing workshops, inter-departmental competitions, etc.